Response from Charles Tyrwhitt: It's ever such a shame that your first attempt at purchasing with us was not as successful as we would all hope - please don't give up on us though! The Classic Fit you ordered here is the most generous fitting shirt we offer, so if it is too baggy, opting for the Slim Fit may be best. A return is very simple to complete using the online portal (www.ctshirts.com/rebound) and we'll be sure to get a replacement out to you ASAP. Fingers crossed that second time around, your shirt will fit beautifully. This is the fifth shirt I have purchased....because of quality, selection and price. 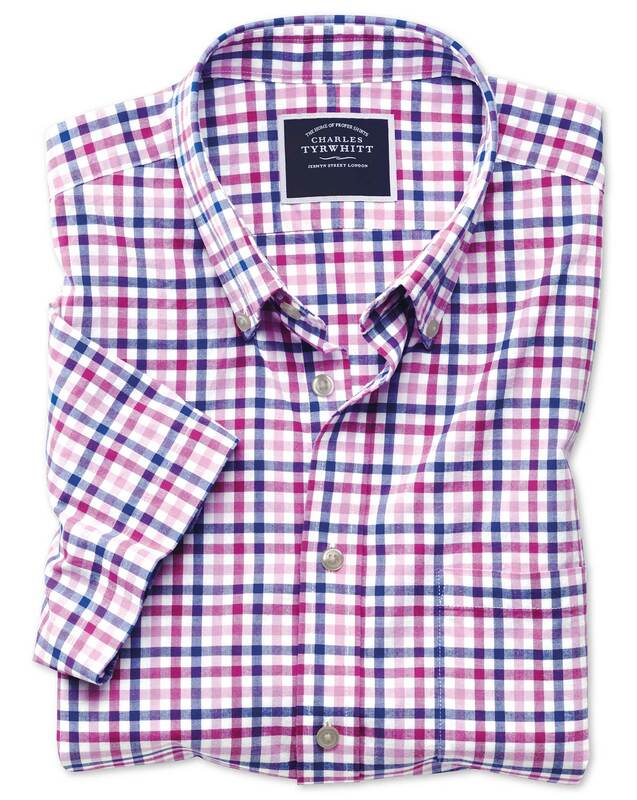 Response from Charles Tyrwhitt: It's a real shame the short sleeve shirts ordered here were not a suitable fit for you, but thank you for sharing your feedback on this matter. Rest assured, it will be relayed to the Products Team as we want to ensure uniformity in the fit of our shirts as much as possible. In the meantime, you are welcome to return these shirts to us Freepost should they not be suitable for either a refund or exchange.